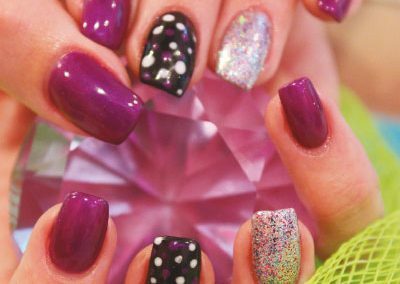 Ask about our VIP Card. 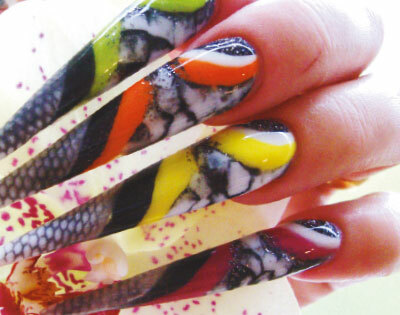 All Tigerlilly clients receive a Treat Card to collect Reward Points. 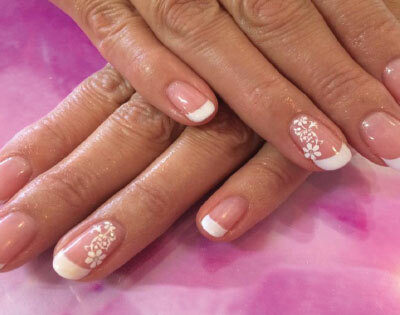 Complete your big day look. 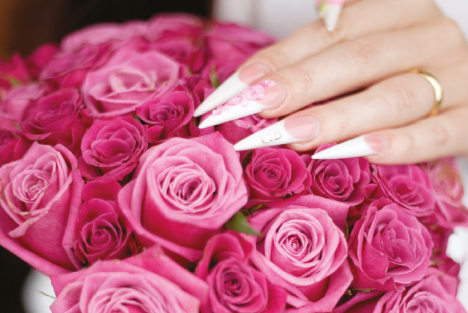 Call us to arrange your picture perfect wedding nails for your special day. 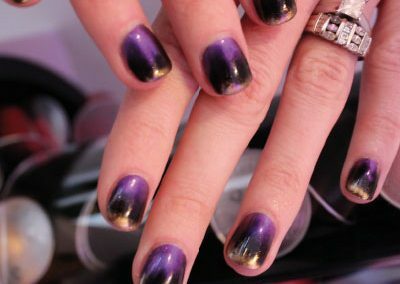 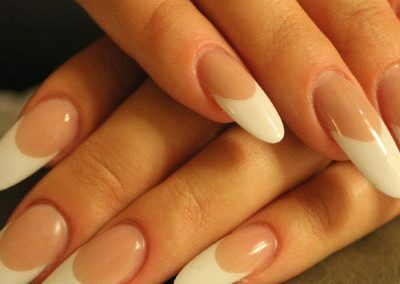 Do you have damaged nails? 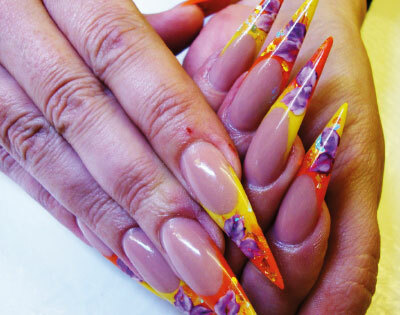 Try Fibroin. 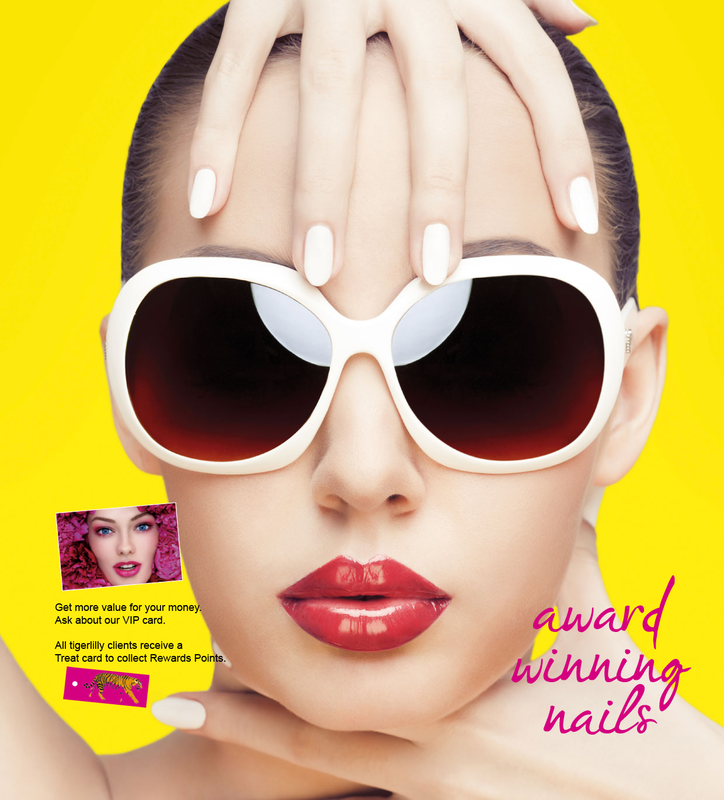 A 100% silk natural nail system for weakened, damaged or overfilled nails. 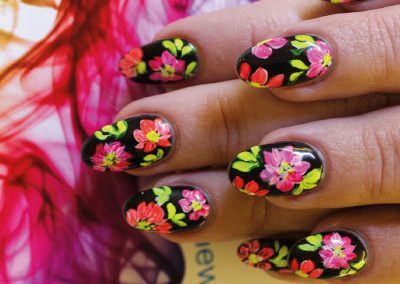 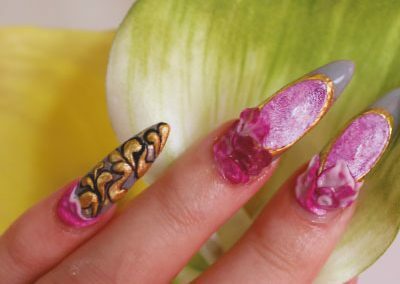 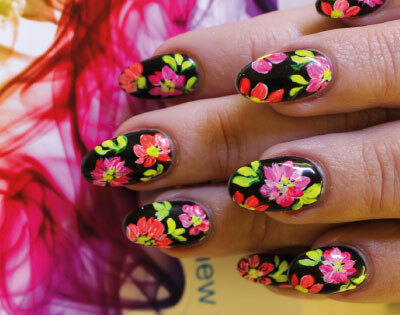 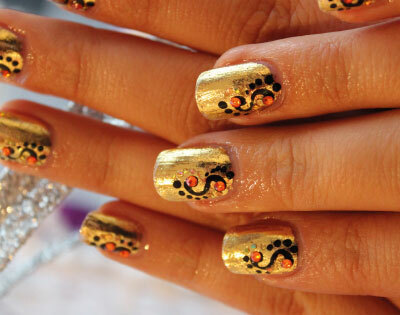 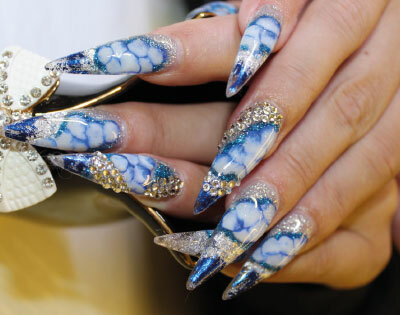 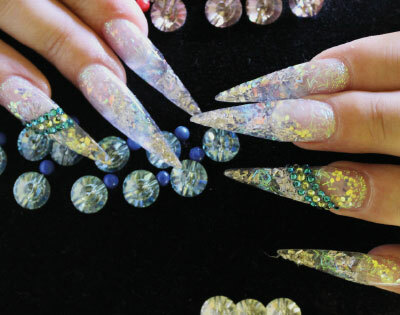 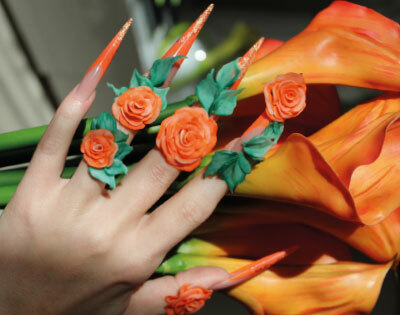 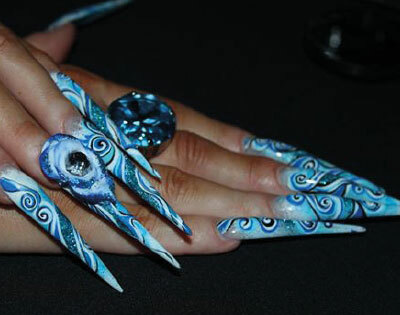 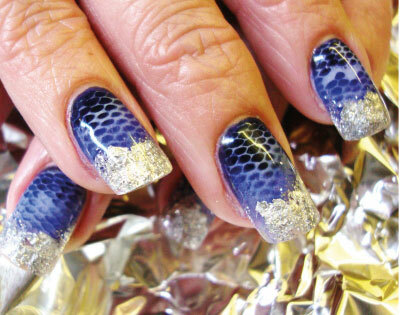 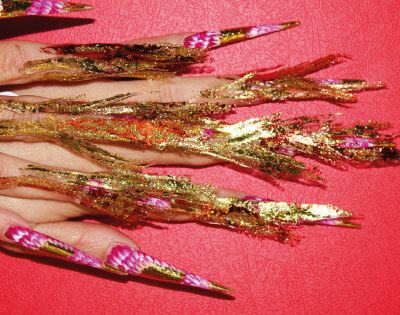 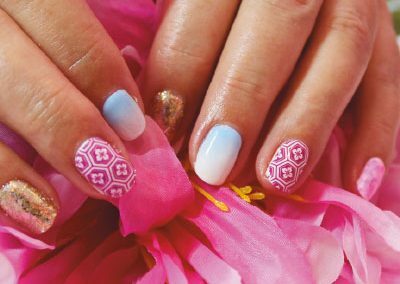 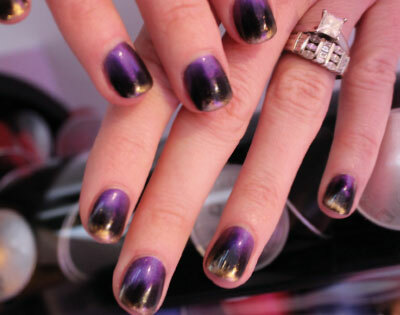 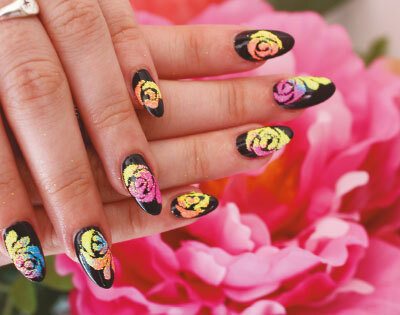 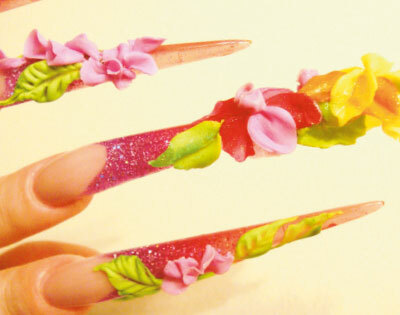 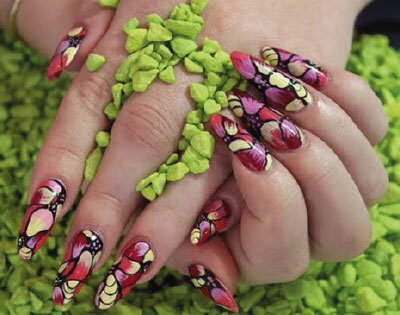 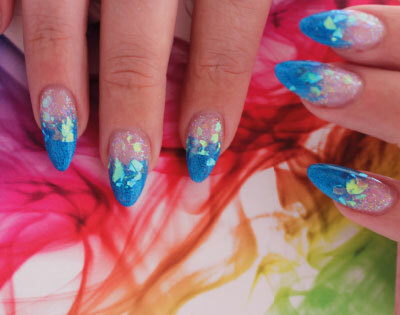 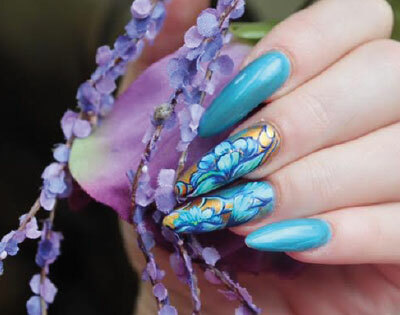 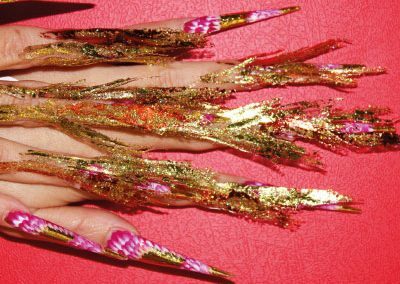 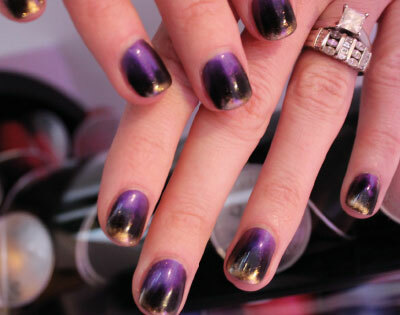 Creative nail art goes digital. 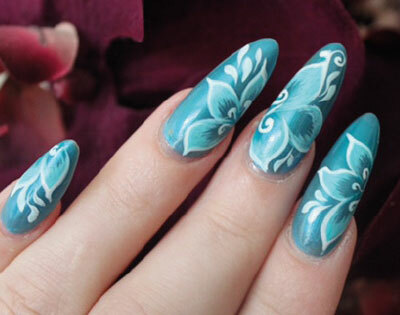 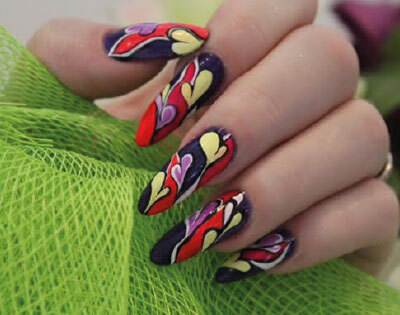 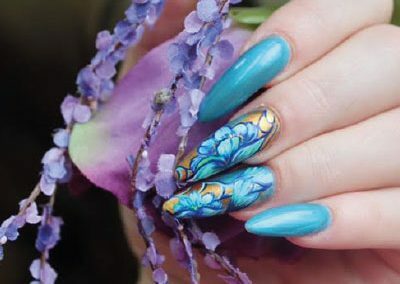 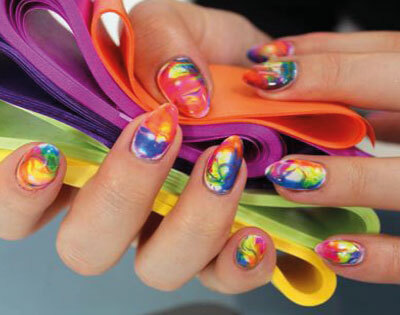 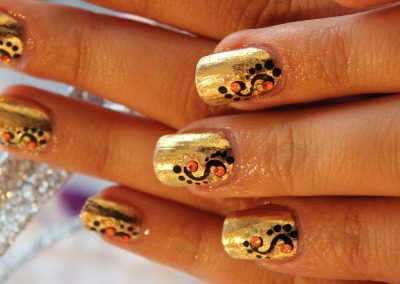 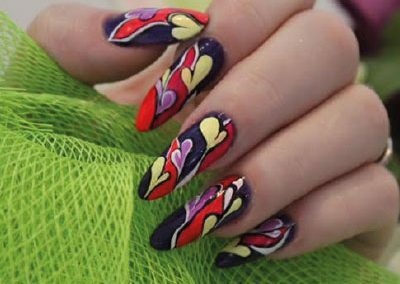 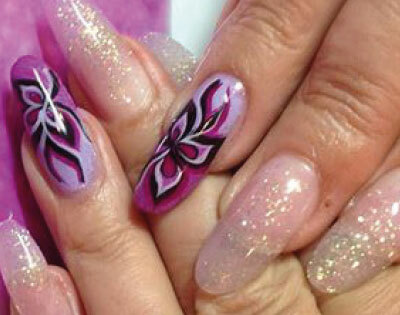 Bring your own designs and have them reproduced in high quality on your nails. 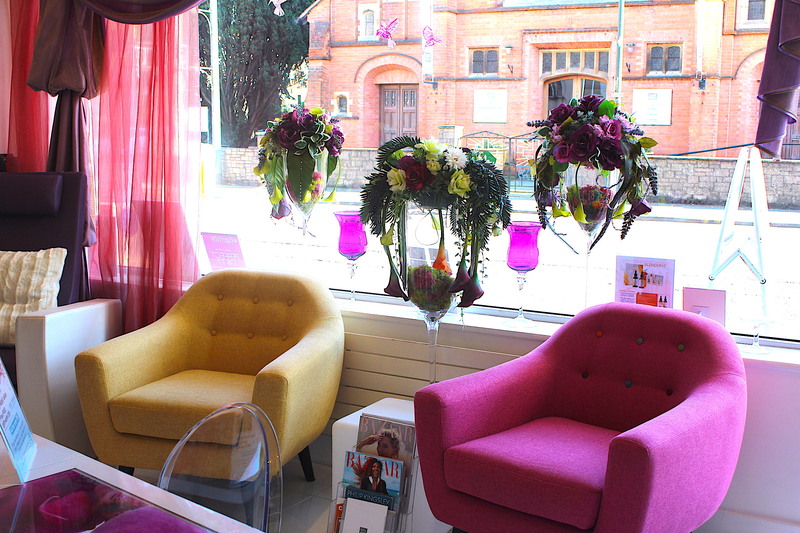 Used by professional make-up artists and worn celebrities… book in for one of our lovely Jane Iredale makeover days. 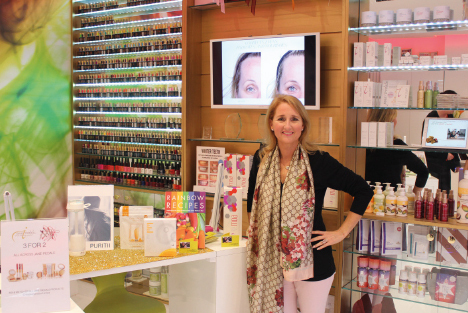 Fun and social evening events featuring industry leaders sharing their tips and tricks on nutrition, anti-aging, weight management, etc. 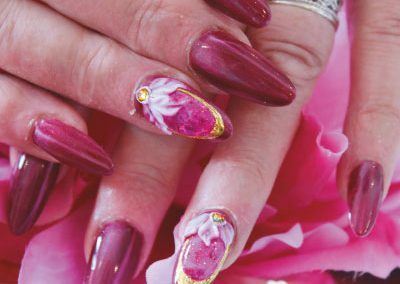 E-file is a gentle treatment for your problem feet, including corns, in-grown toenails, cracks on heals, calluses & diabetic feet. 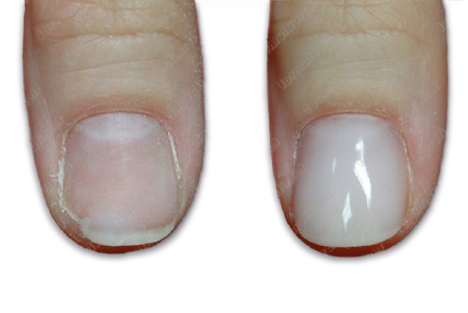 Build up your cracked or broken nails with this strengthening and long lasting natural nail treatment. 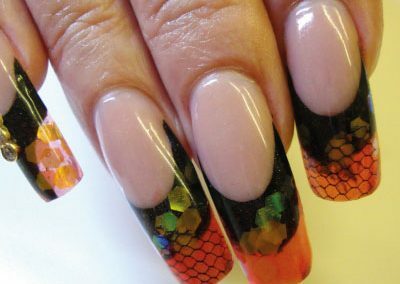 For fun private birthday parties for your little stars and themes nail designs workshops(in the school holidays) please call us. 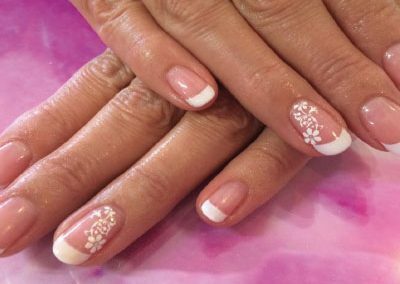 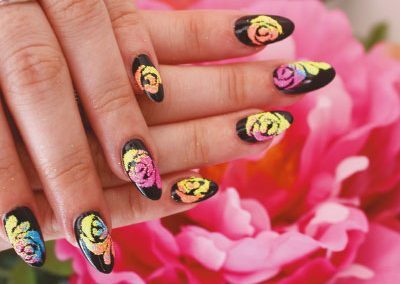 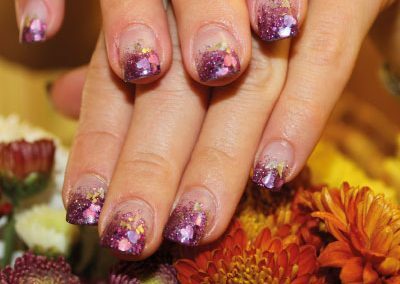 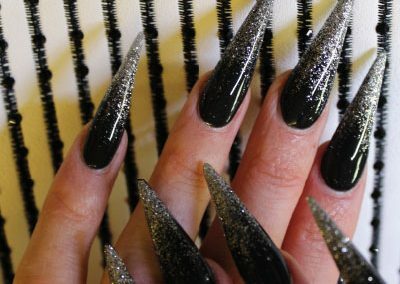 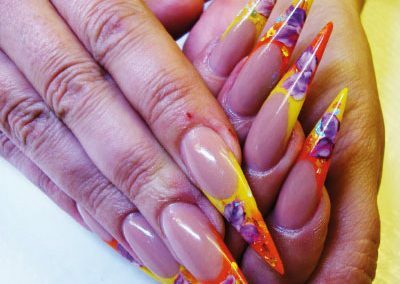 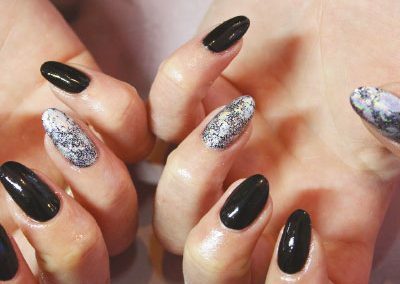 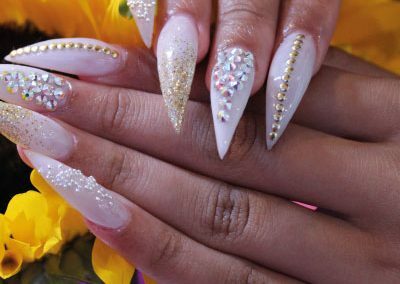 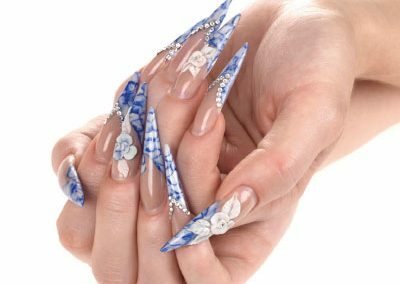 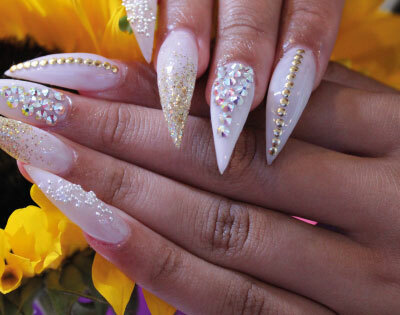 “I would recommend Tigerlilly if you are looking for a professional, quality set of nails for a special occasion or just because you want to feel special”. 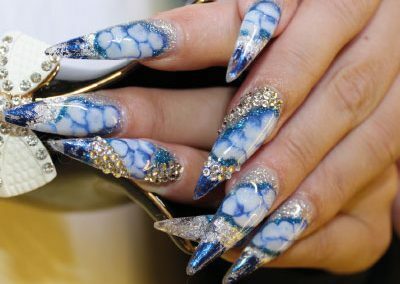 Liquid & Powder. 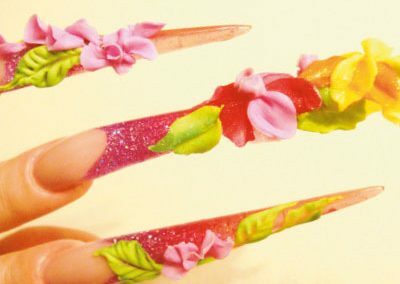 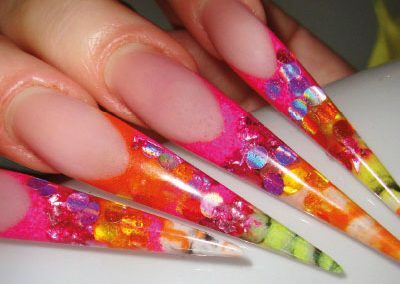 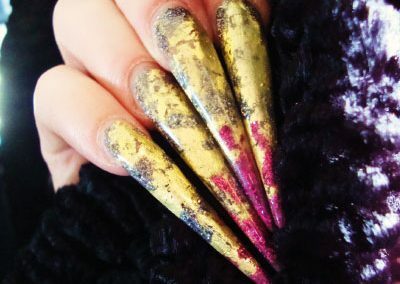 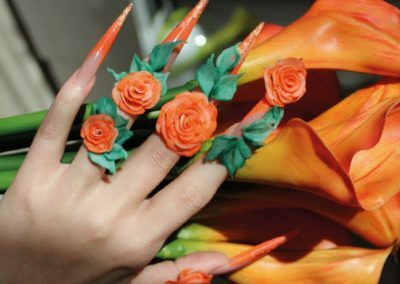 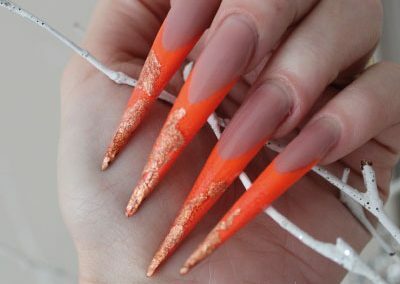 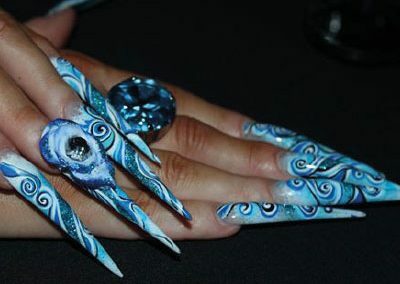 A great way to develop length to your own nails. 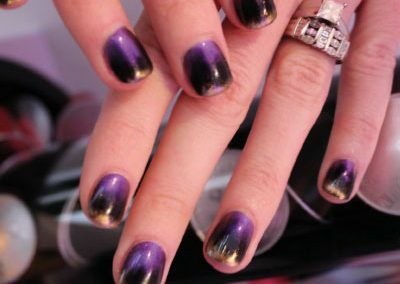 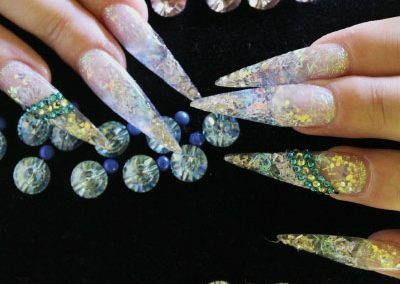 Nail bed enhancement technique can be used. 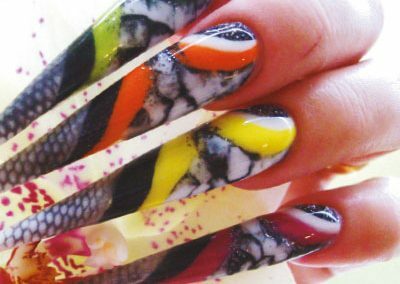 Wide choice of permanent acrylic colours are available at an extra cost. 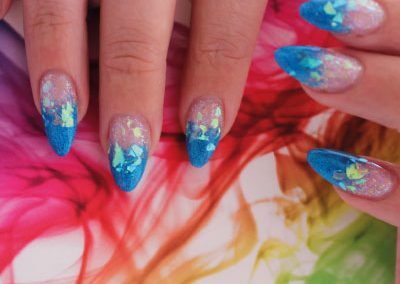 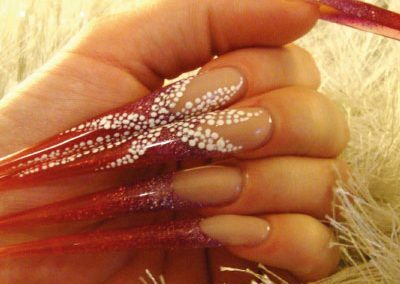 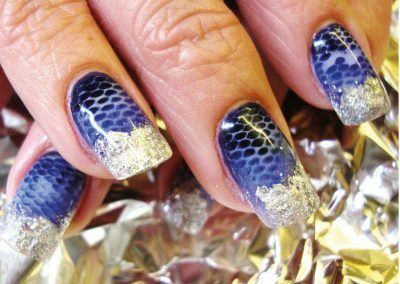 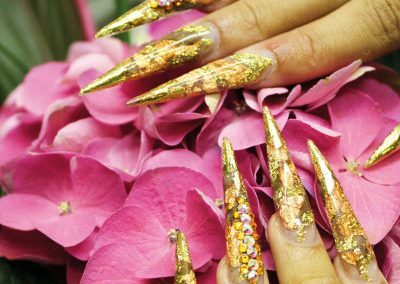 Great variety of glitters, nail decorations and permanent colours are available to create bespoke nail design for any occasion. 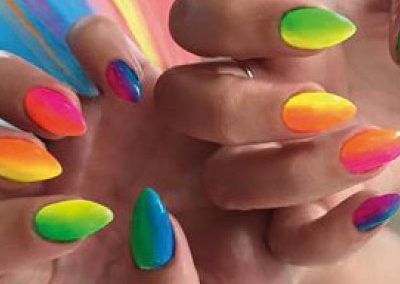 Please note: Choice of nail colour including French finish is inclusive – extra protection, scratch resistant and high finishing gloss top coat for an extra £5. 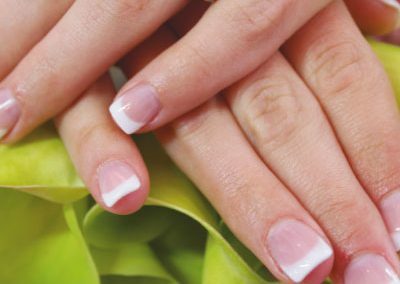 Citrus Spa Manicure – A citrus symphony of essential oils, vitamin E and antioxidants formulated to stimulate the sense as it smoothes, refines and conditions the skin. 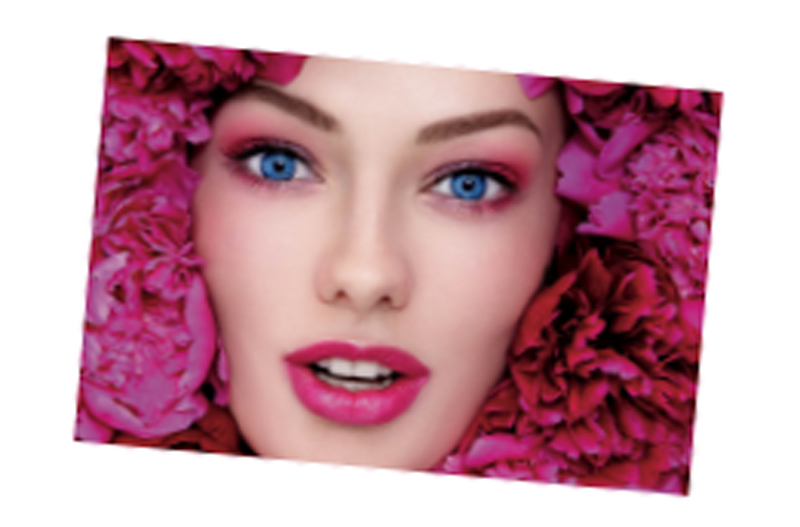 The zesty fragrance will energize, refresh and lift spirits every time. 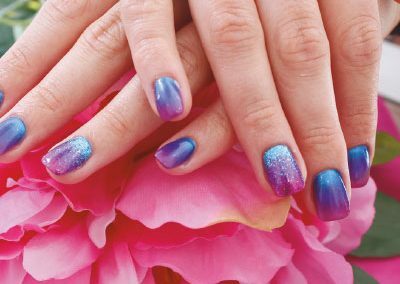 Marine Spa Pedicure – An inspired system born of the sea. 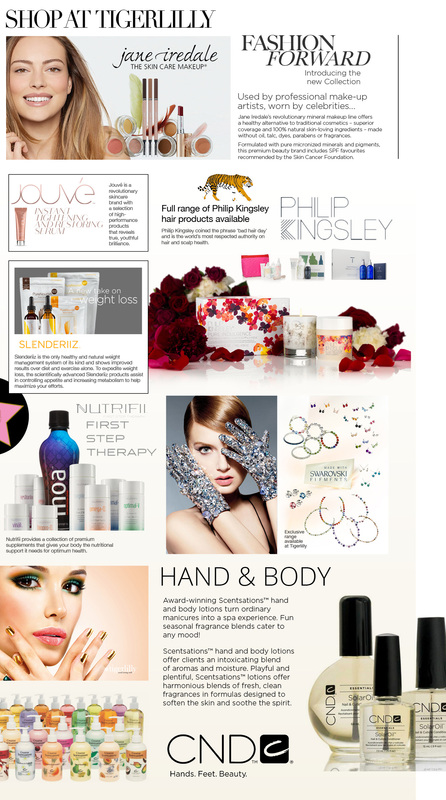 Marine botanicals and sea salts energize. 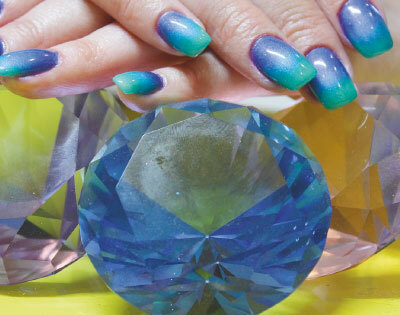 Quartz crystals and menthol cool. 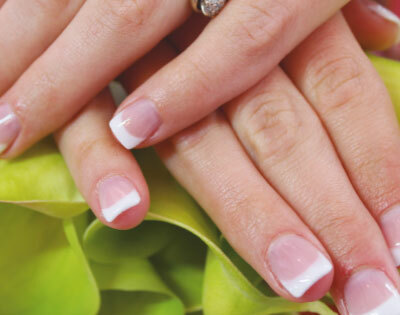 A treatment designed to refresh and revitalize – like a brisk barefoot walk in the surf. 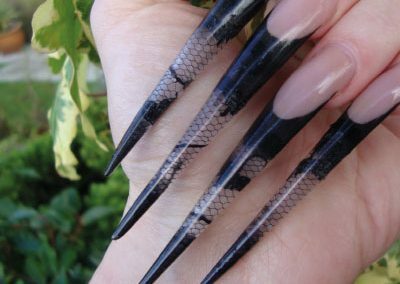 Feet reborn. 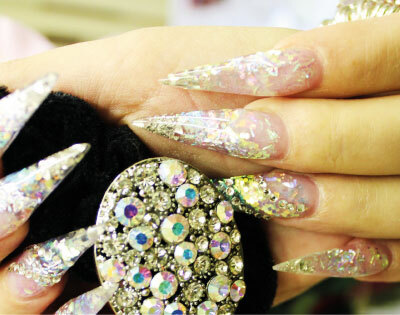 Spirit satisfied. 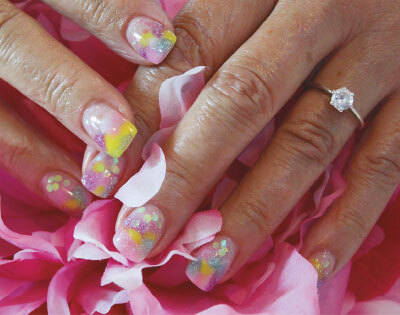 Please note: All treatments above include complete cuticle work as part of the professional treatment. 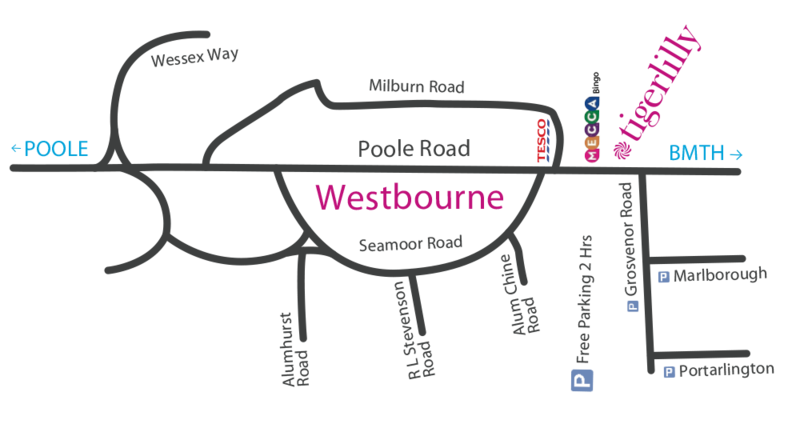 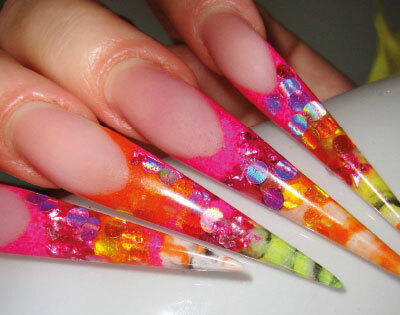 Extra £3.50 charge, if more than one element of design is applied. 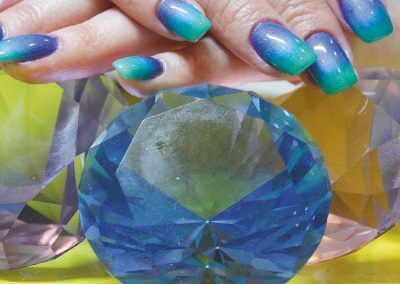 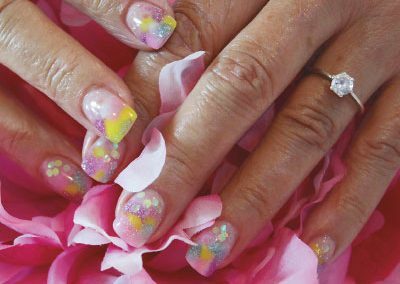 “Fantastic nail salon – had my nails done before my holiday – sparkly rainbow nails – everyone who saw them was blown away”. 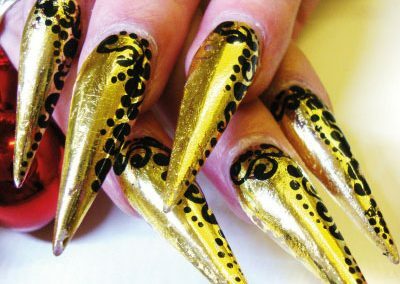 I would like to personally welcome you to Tigerlilly. 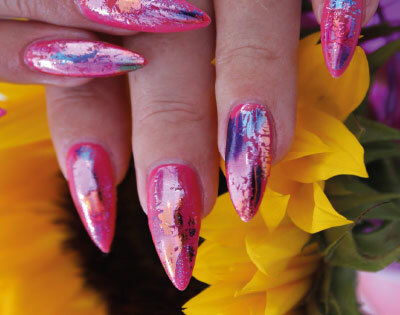 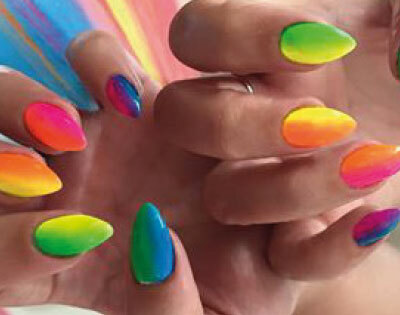 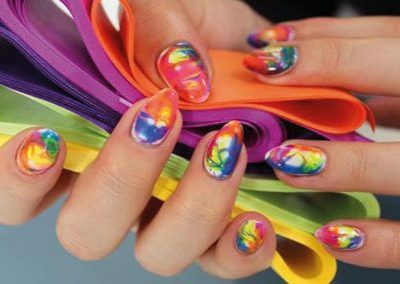 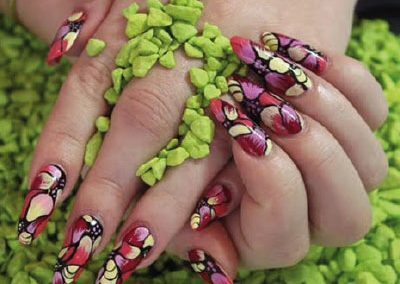 Introducing you to our highly creative world of colourful nail and toes. 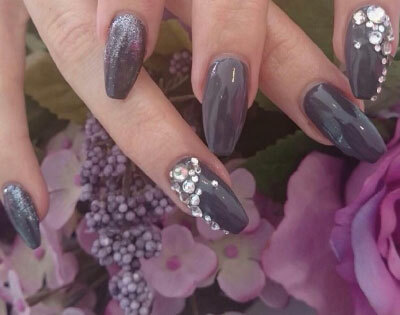 As a client, you are very important to us and all of the team work hard to provide you with exquisite treatments for your nails and toes – along with an exemplary level of service. 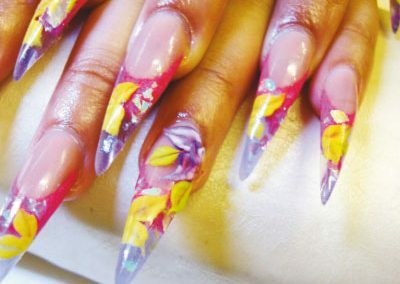 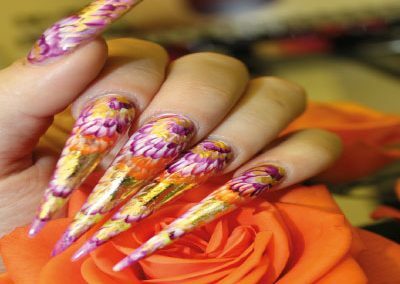 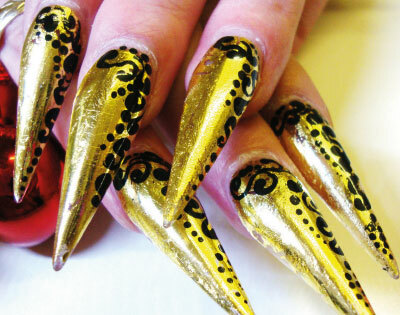 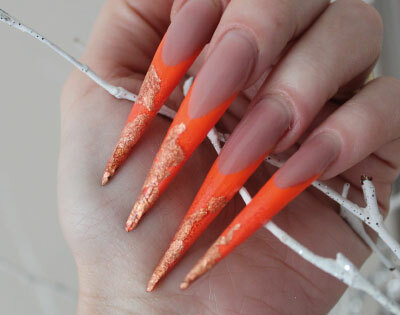 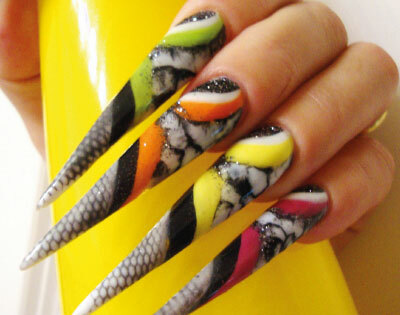 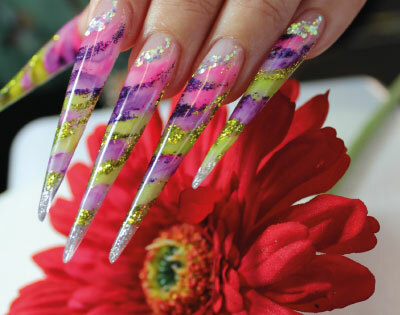 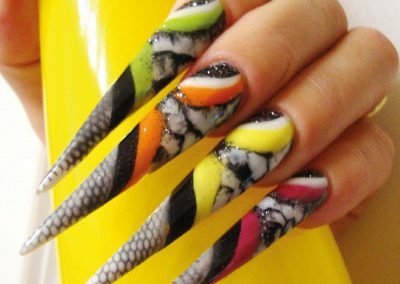 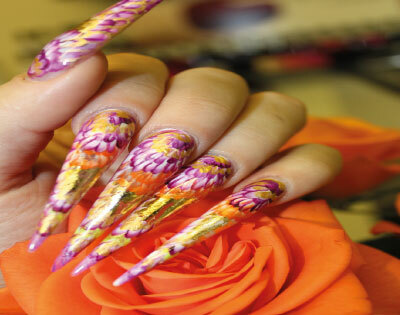 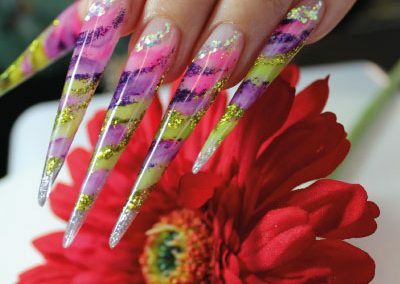 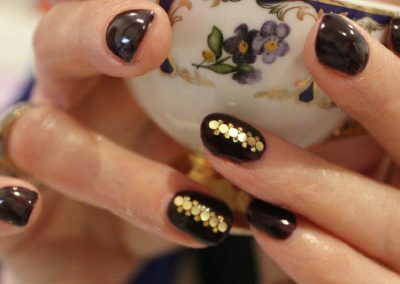 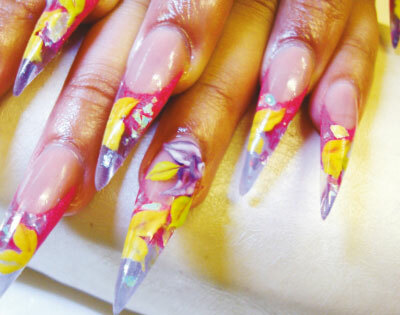 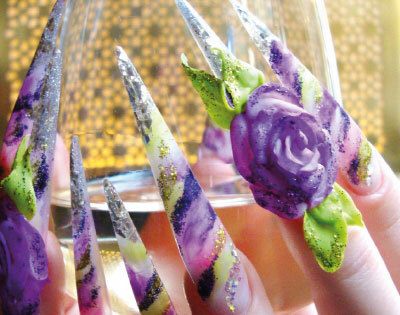 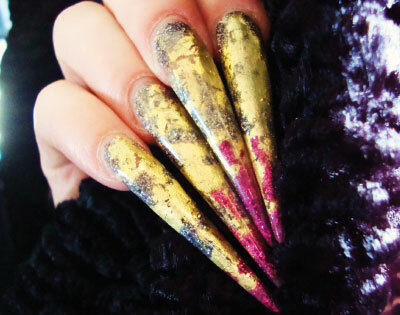 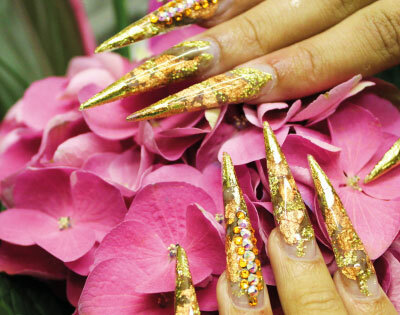 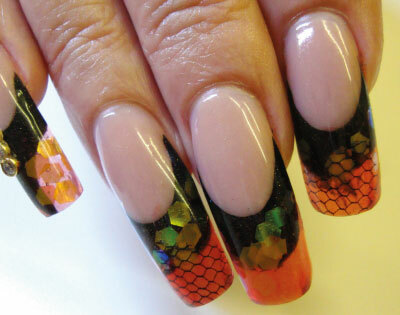 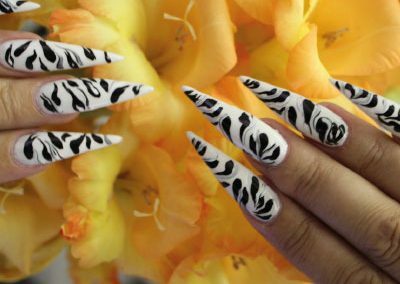 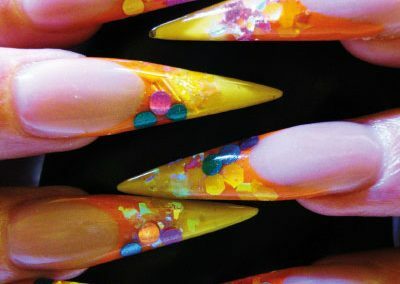 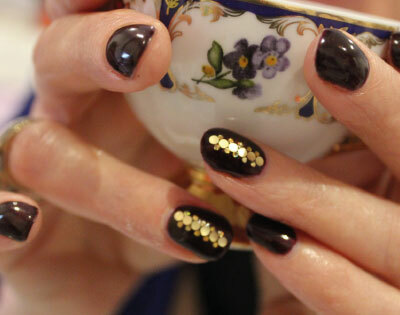 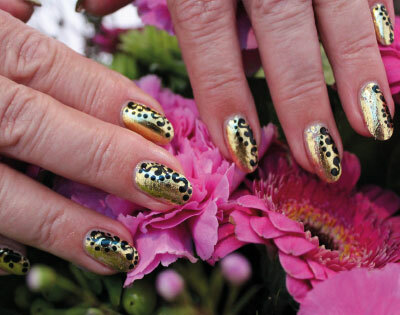 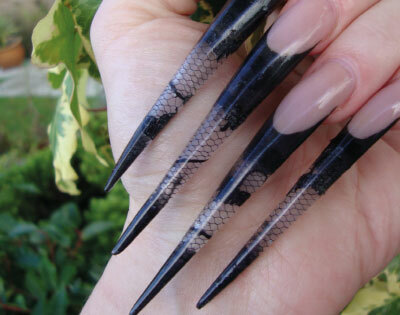 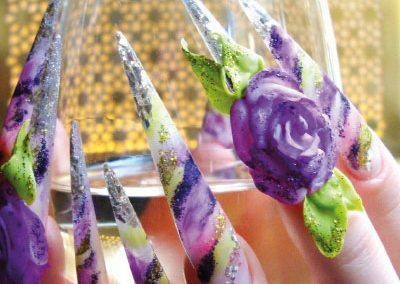 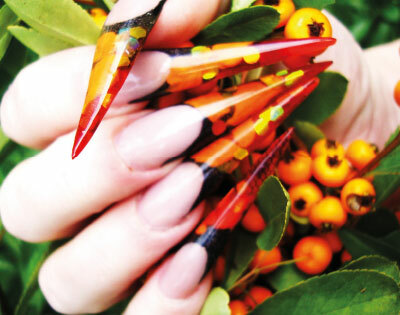 The Tigerlilly team are continually educated and trained to the highest nail industry standards. 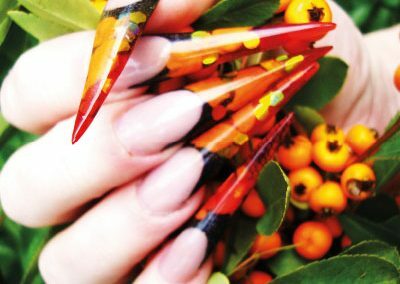 We constantly seek out the latest innovations and best quality products to bring you. 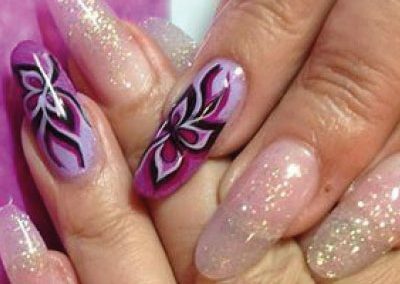 Nothing is ever too much trouble for you or any of our ladies. 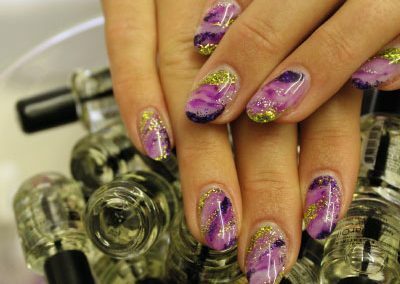 We aim to be flexible and accommodating with timing(we start early and finish late to look after you whenever possible). 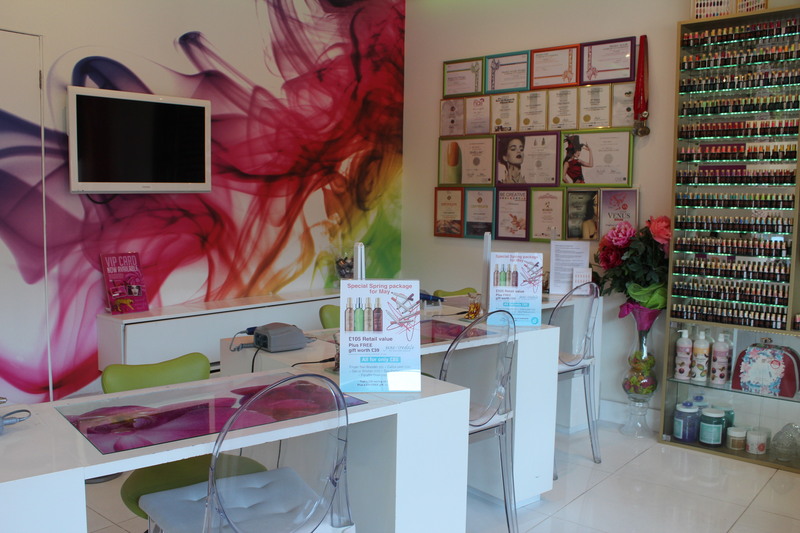 Our greatest wish is for you to completely enjoy your time with us in our beautiful, clean and hygienic salon. 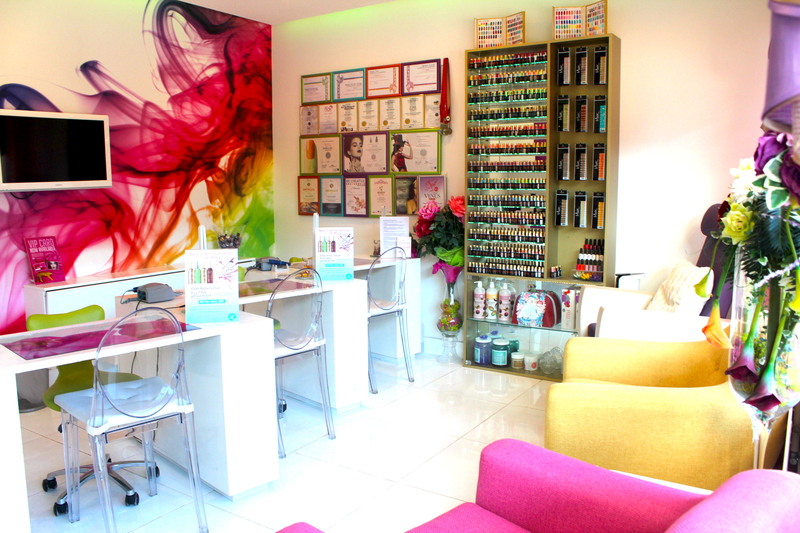 As a client, you can expect to receive exclusive invitations to join us for ‘customer only’ evenings at the salons. 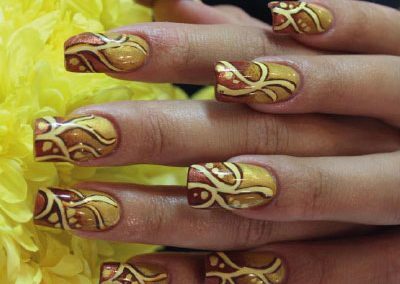 These events are great social occasions and a brilliant way of saying thank-you to you and all of our special ladies for their on-going custom and loyalty. 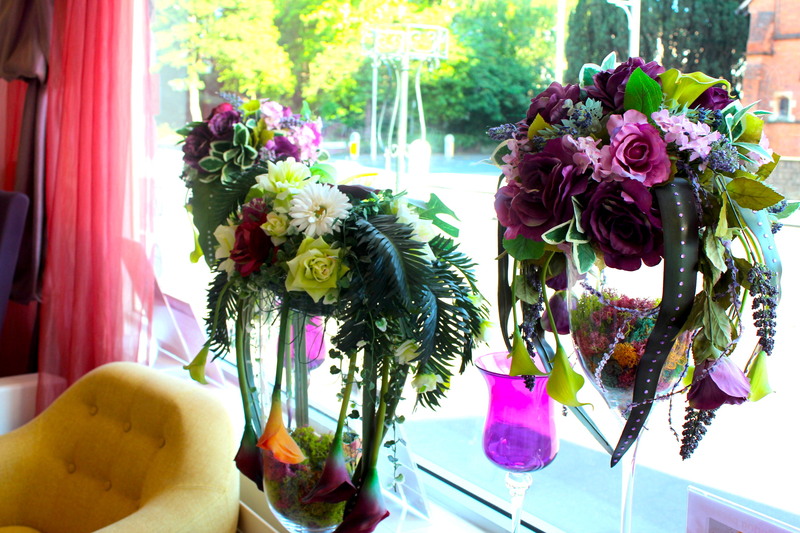 Invitation evenings at the salons always include a complimentary Tigerlilly goody bag. 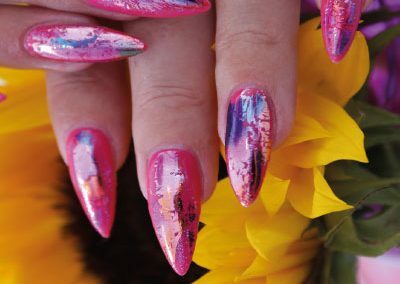 We are introducing a new ‘Treat Points System’.A loyalty scheme that automatically rewards you with FREE Points based on your salon treatments, any new client referrals, service reviews and all product purchases. 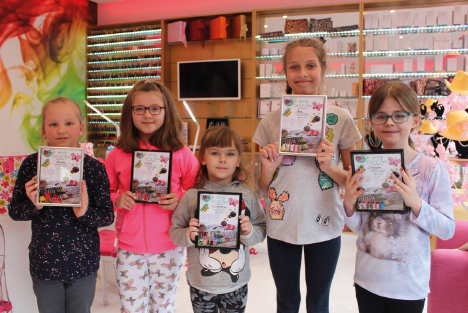 Bring your Treat Card to all appointments and remember to get it scanned. 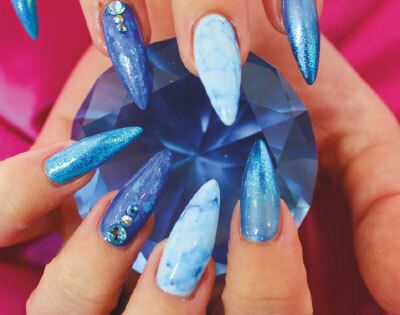 Plus, collect points faster by booking your next appointments on the day or online(receive double points). 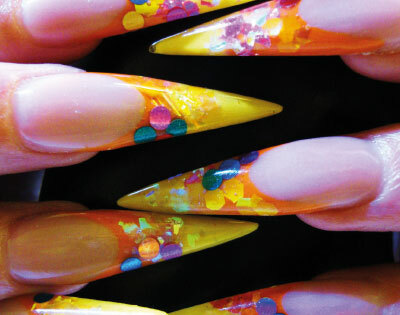 Treat points may be redeemed against all treatment and products(not on packages or promotions). 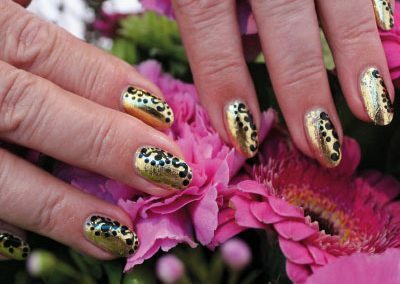 At Tigerlilly we love our ladies and enjoy looking after them. 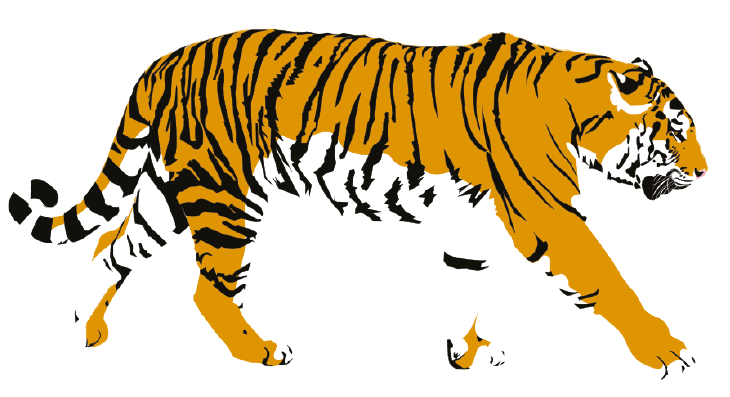 I sincerely hope you enjoy your Tigerlilly time. 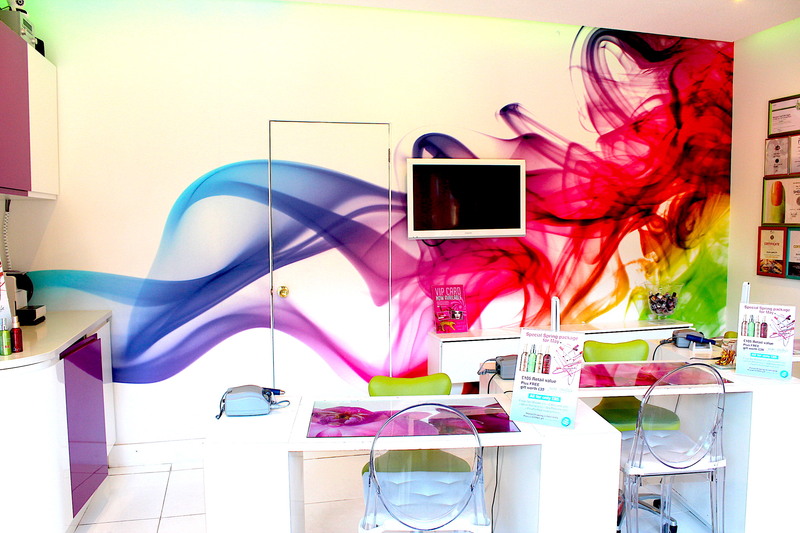 Cancellation policy – 24hr notice or 50% of treatment will be charged. 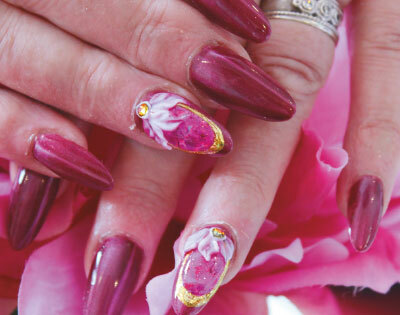 Breakages – No charge for 2 nails or loss. 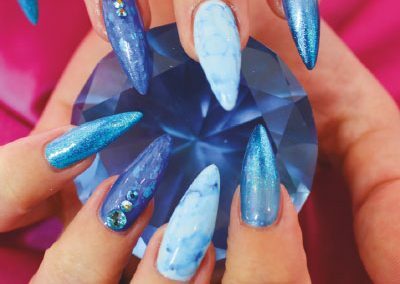 Deposit policy – £10 deposit taken for all new appointments. 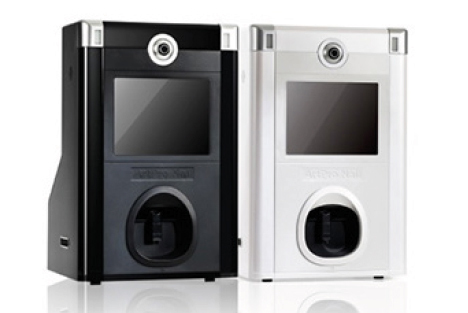 Payments can be taken by phone.